MaREI will lead a €10.5m EU project to accelerate offshore renewable energy technology and infrastructure. The MaREI centre will lead the €10.5m EU MaRINET2 initiative, which aims to accelerate the development of offshore renewable energy technologies and infrastructure. Under the first MaRINET funding cycle, 178 projects and 800 companies received backing from the EU to develop advanced technologies. At the second phase of funding for the project, by its conclusion in 2021, it will have opened up access to 57 test facilities across 13 European countries. MaRINET2 is a network of 39 partners, involving research centres and organisations cooperating to progress offshore renewable energy technologies such as wave, tidal and offshore-wind. It achieves this through marine energy development companies, entrepreneurs, start-ups and researchers with fully-funded access to marine energy experts and advanced test facilities. The funding will be distributed between UCC, SmartBay Ireland, ULand NUI Galway. 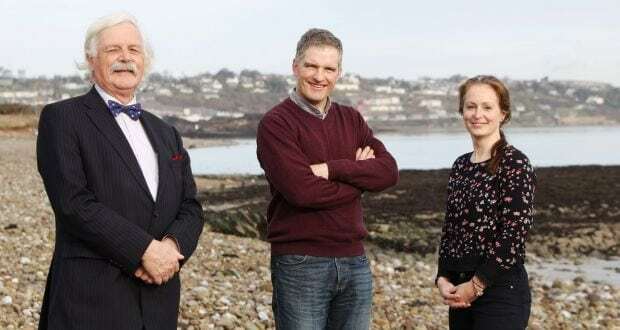 Surrounded by an ocean and strong winds Ireland has for some time been envisioned as a potential hot spot for marine renewable energy development and this project will help capitalise on this potential. The first call is now open to apply for access to testing infrastructures in the network. The first call will close before the 22nd May and is the only call for access in 2017. The second call will open January 2018 (schedule of calls and application details on the website www.marinet2.eu).